Sangchchen Dorji Lhuendrup Nunnery is a large temple complex which is located on a ridge beside the neighboring Punakha and Wangduephodrang amidst some pine trees. 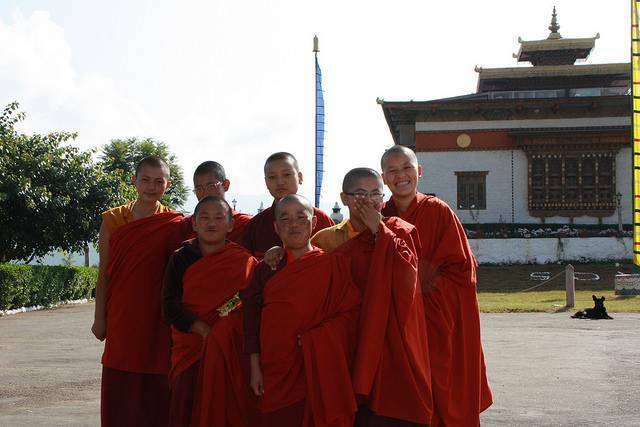 The temple complex also has a learning and meditation centre for the nuns, and it also provides them other trainings such as embroidery, tailoring, statue making, and the famous thangka painting. There is a majestic bronze statue of a height of 14 foot Avalokiteshwara. The statue is also considered as one of the biggest statues in the country made by the unique handwork of many local Bhutanese artisans. Besides, the other statues present here include of Gautama Buddha, Zhabdrung Namgyel Namsum, Saint Padmasambhava, and the 21 Taras, Tsela Namsum and the Tsepamay (Buddha of Longevity).